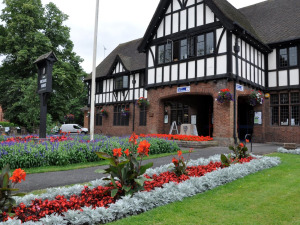 The Tourist Information Centre offers a warm welcome to visitors and provides a comprehensive selection of free literature allowing visitors to “discover” places to visit in and around Droitwich Spa and in the beautiful Worcestershire countryside. A range of souvenirs can be purchased along with numerous local history books. The salt industry is traced, using displays and many old photographs, through Roman, Saxon and Medieval periods and finally the Victorian era of the “Salt King”, John Corbett is studied with audio-visual display which depicts the harsh reality of working in hot, steamy conditions in the salt works. 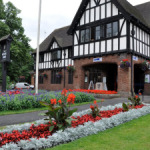 The Centre is also home to the “Droitwich Calling” exhibition which brings alive the history of radio using a “hands on” display. Find out how a radio station made Droitwich Spa famous; why Droitwich was chosen as the site for a high-powered transmitter and how it operated. You can also view and operate radios from the past to the 1950’s.